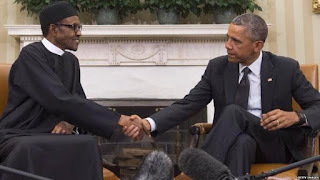 The United States government has agreed to assist Nigeria recover all identified ill-gotten wealth in countries in which they have jurisdiction, including the U.S itself. The Nigerian President’s Senior Special Assistant on Media and Publicity, Mr Garba Shehu, made this known in a statement. Details emerging from Monday’s meeting between President Buhari and the United States Attorney-General, Loretta Lynch, on the subject of support for the war on corruption in Nigeria indicate that the Mutual Legal Assistance Treaty signed between the two countries in 1985 which came into effect in 2003 would be given some teeth. “There will be collaboration. Each of the two countries will receive legal assistance from the other on criminal matters and that should cover the recovery of ill-gotten wealth. “On extradition, we already have a treaty with U.S. By virtue of being a former British colonial territory.